Just got back from Scotland, and am working on several projects related to the trip. 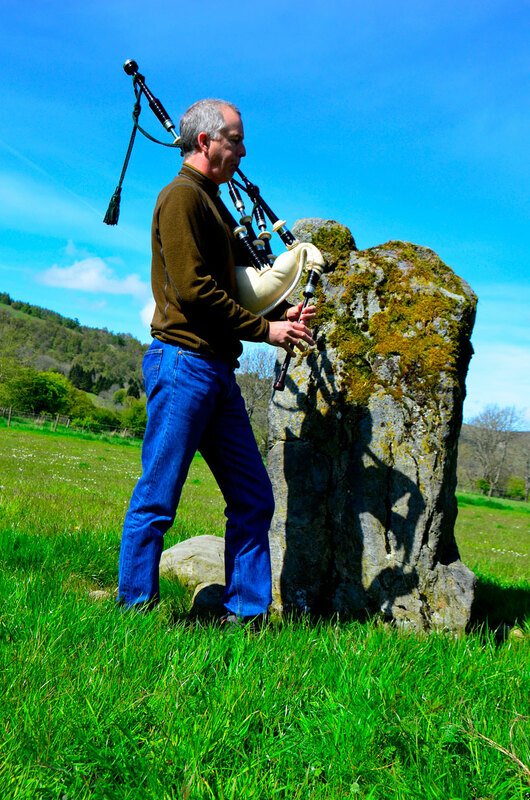 But I wanted to post this photo that Leslie took of me playing “Lament for the Viscount of Dundee” at the spot he died after leading the first successful Jacobite uprising against the British at the Battle of Killicrankie in July 1689. Don’t let the blue sky fool you: this was one of three days in more than two weeks that we saw sun. You have been to some really cool places and seen some really cool things. It is neat that you get to travel around and see these sorts of things. You, too, Hillary, will travel and see great things. I don’t know much, but I know this.